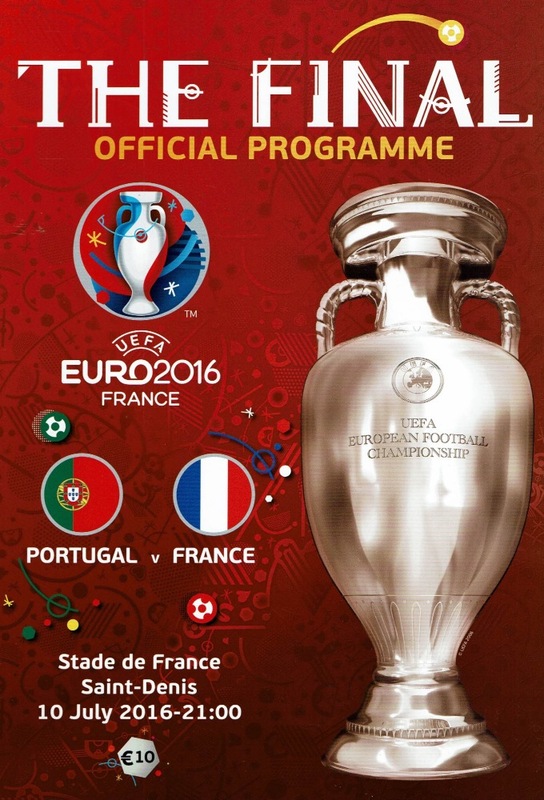 The UEFA Euro 2016 Final was a football match that took place on 10 July 2016 at the Stade de France in Saint-Denis, France, to determine the winners of UEFA Euro 2016. Portugal defeated the hosts and two-time winners France 1–0 after extra time, with a goal from substitute Eder, to claim its first major tournament title. In doing so, they became the tenth nation to win the UEFA European Championship, 12 years after losing their first final at home in 2004. France became the second host team to lose the final, after Portugal in 2004, and suffered their first defeat at a major tournament hosted in the country since the 1960 European Nations' Cup third-place playoff against Czechoslovakia. This was the fifth European Championship final to end in a draw after 90 minutes of play, and the second whose winners were decided by extra time, after the inaugural final in 1960. 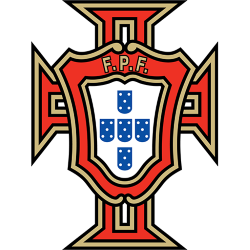 As the winners, Portugal gained entry into their first FIFA Confederations Cup, which was played in Russia in 2017. The final was held at the Stade de France in Saint-Denis, a suburb of Paris. The announcement was made by UEFA, along with the full tournament schedule, on 25 April 2014, following a meeting held in Paris. The French capital had hosted two previous European Championship finals, in 1960 and 1984, both at the Parc des Princes. Opened in 1998, the Stade de France was built for that year's FIFA World Cup. It hosted nine matches, including the opening match and the final. Serving as the national stadium, the Stade de France hosts numerous domestic cup finals, including the Coupe de France, Coupe de la Ligue, Coupe de France Féminine, and Coupe Gambardella finals in football, along with the Top 14 final in rugby union. The stadium has no permanent tenants, but serves as a secondary home facility of Parisian rugby clubs Stade Français and Racing 92, hosting a few of their regular-season fixtures. It also hosts some matches of the French national football and rugby teams. The stadium was one of the venues of the 2003 FIFA Confederations Cup, hosting six matches, including the final, and staged two UEFA Champions League finals, in 2000 and 2006. In addition to football, the Stade de France hosted matches at the 1999 and 2007 Rugby World Cups, including the latter's final. The stadium has also been one of the venues for the annual Six Nations Championship since 1998, and hosted the final of the Heineken Cup in 2010. In athletics, it hosted the IAAF World Championships in 2003, and is also the annual host of the Meeting Areva track and field event since 1999. The stadium has also staged the Race of Champions auto race in 2004, 2005, and 2006. A UEFA Category Four stadium, the Stade de France is the sixth-largest stadium in Europe and the largest venue of Euro 2016, with a maximum capacity of 81,338 – although this was reduced for the tournament. The final was the seventh match played in the stadium at Euro 2016, which included the tournament's opening match between France and Romania. France had previously played in two European Championship finals, winning against Spain in 1984 on home soil, and via golden goal against Italy in the Netherlands in 2000. Portugal had played in one prior final, losing to Greece in their own country in 2004. The two teams had previously met 24 times, starting in 1926 when France won 4–2 in Toulouse. 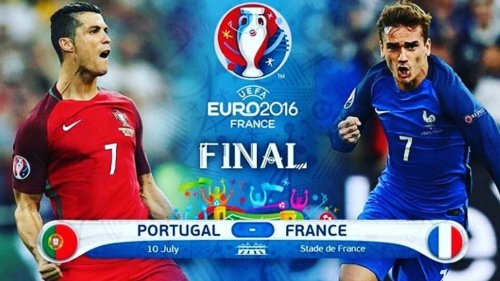 Before the final, France had won 18 of those meetings, Portugal 5, and 1 draw. Portugal's last victory was in a 1975 friendly in France, after which France won all ten of the subsequent meetings. 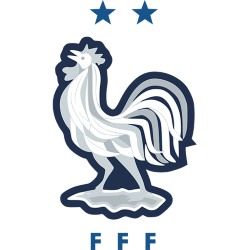 All three of their previous competitive meetings – in the semi-finals of Euro 1984, Euro 2000, and the 2006 FIFA World Cup – had been French victories. France started the match trying to impose an uptempo rhythm whereas Portugal preferred a more controlled pace. There were very few goalscoring opportunities in the first half, with the exceptions being an over-the-bar volley from Nani in the 4th minute, a header from Griezmann in the 10th and a low strike by Sissoko in the 34th, these last two both saved by Portugal's Rui Patrício. France had more possession (55% to 45% at halftime, 53% to 47% in the end of regulation) and goal attempts as the match progressed. In the eighth minute Portugal's captain and all-time leading scorer Cristiano Ronaldo suffered an injury to the knee from a hard tackle by Dimitri Payet, not judged as a foul by referee Mark Clattenburg. Ronaldo attempted to play on but came off twice before finally going down a third time and was substituted for Ricardo Quaresma in the 25th minute. Sports Illustrated remarked that France missed opportunities in the 10th, 34th, 66th, and 84th minutes, while the UEFA website mentioned that France continued to probe without managing to obtain clear chances. Portugal used their remaining two substitutions in the second half, bringing on João Moutinho for Adrien Silva and Eder for Renato Sanches, while France brought on Kingsley Coman for Dimitri Payet and André-Pierre Gignac for Olivier Giroud. The home side's main chances occurred in the second half, when Griezmann was left unmarked 6 metres from the goal heading over the crossbar, and when Gignac hit the post in the last minute of normal time after his shot beat Rui Patrício. Portugal's best chances at goals came in extra time: a header from Eder was saved by Hugo Lloris and Raphaël Guerreiro hit the crossbar from a free kick given by the referee from an alleged handball by Laurent Koscielny, though the replays showed the ball touching Eder's hand instead while being pressed by Koscielny from behind. 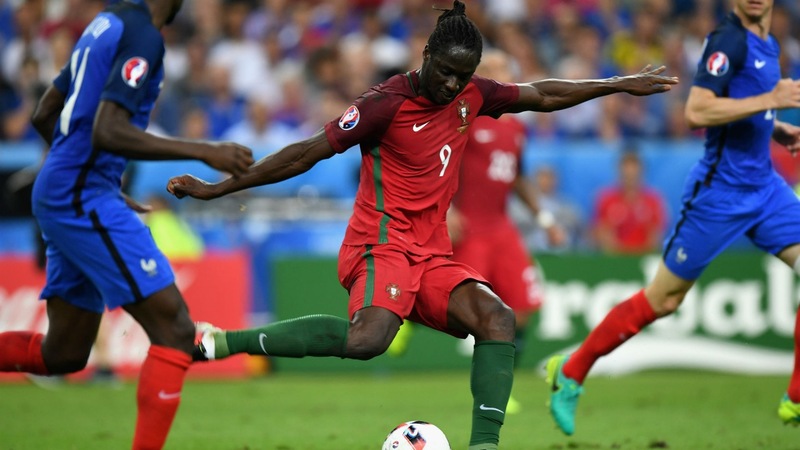 Eder ended up scoring what would turn out to be the winning goal in the 109th minute. João Moutinho recovered the ball in the midfield directly from a Bacary Sagna's throw-in and, after a ball passing sequence which involved also William Carvalho and Quaresma, passed it to the forward. Holding off Koscielny, Eder cut inside and struck the ball low to the keeper's right from approximately 25 yards (23 m). ESPN said that the strike was "brilliantly taken" and "one that deserved to win any final". France immediately brought on Anthony Martial, but to no avail, as Portugal went on to win their first major trophy.